An addition to the natural miracles in Rio de Janeiro, is the Gruta Azul. The cave of Gruta Azul is on an island, just a boat-ride away from the mainland. The cave is dark, yet thrilling. Although some boats may not take you inside the cave, if you are interested, you can ask around for those who can. The boat-ride too is very exciting, you can watch the waters turn from caerulean to turquoise to emerald. If you are lucky, you may spot whales, who usually migrate to the lesser cold waters for laboring. Giving a great opportunity to photographers and bird watchers, the island is a great place for an excursion. So, don’t forget to add this to your list! Use Arraial Do Cabo trip planner to visit Gruta Azul and many others to your visit. Add accommodation and hotels in Arraial Do Cabo that suit your budget including the most recommended ones like Pousada MarimbÃÃÃ‚ƒÂ¡s, Caribe Park Hotel, Paradiso Corporate and Hotel Paradiso Del Sol. Chalk out the best way to discover the city with Arraial Do Cabo vacation packages. 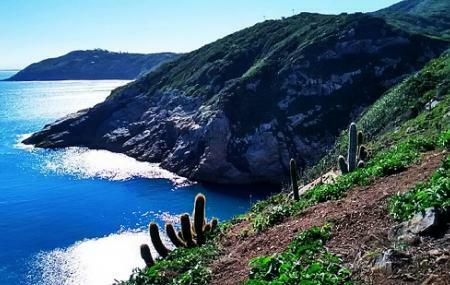 Check out various modes for how to reach Arraial Do Cabo. Love this? Explore the entire list of places to visit in Arraial Do Cabo before you plan your trip. Fancy a good night's sleep after a tiring day? Check out where to stay in Arraial Do Cabo and book an accommodation of your choice. How popular is Gruta Azul? People normally club together Prainha and Dunas Beach while planning their visit to Gruta Azul. Is exactly lake name says, water is blue and cold, beautiful natural place!! Outstanding view from a boat! Cave only accessible by water, similar to what you can see in Greece.